28-year-old Orthodox Jewish man in critical condition after being stabbed multiple times by FedEx employee in Manhattan. 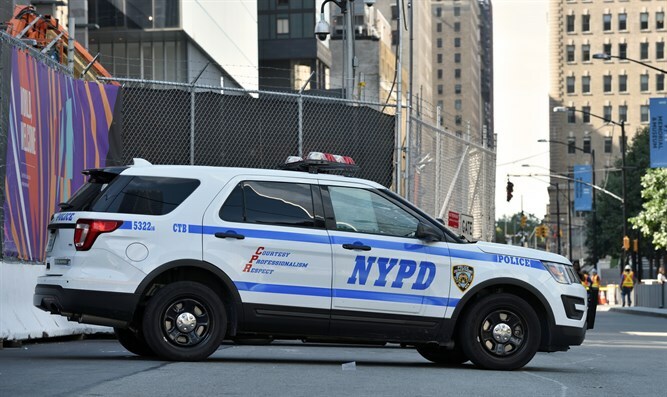 An Orthodox Jewish man is in critical condition after being stabbed repeatedly during an altercation in midtown Manhattan Monday afternoon. Twenty-eight-year-old Jack Gindi, who reportedly works in the area, was stabbed near the Empire State Building by 22-year-old Tyquan Bailey, a resident of Orange, New Jersey. New York City police say the stabbing was the apparent result of an argument between Gindi and Bailey, which may have been provoked simply by the two men accidently bumping into each other as they walked down the street. Bailey, a deliveryman for FedEx, reportedly punched Gindi at around 1:40 p.m. Monday, knocking him to the ground, then proceeded to stab him repeatedly in torso. Gindi was later treated by emergency first responders, then evacuated to Bellevue Hospital. Police apprehended Bailey, and took him into custody for the stabbing. Hospital officials said Gindi was critically wounded, but later said his condition was stable he is expected to survive.